When mom came home from a visit to Alaska a few months ago, she had a beautiful gift of fabric tucked away for me. She had visited The Material Girls quilt shop in Fairbanks, leaving with several yards of Moda Calypso Sunrise batiks - blue, green, and teal - some of my favorite colors. I definitely wanted to do something kinda modern with them, maybe even improv. I had the idea of a low-volume background so the batiks would really pop against it. In my very own stash I found a perfect choice - the "Cuneiform Script Aged" from Katarina Roccella's REcollection for Art Gallery Fabrics. So I went with wonky crosses, one of my best-loved blocks. This time, though, there were no consistent block sizes and no even rows, which made for alot of fun on the design wall, a little less when it came time to piece the blocks together. In fact it took some minor surgery with a seam ripper once the top was complete to get it back together and laying flat. The back, on the other hand, went flawlessly, and I love the supersized crosses that echo the front. For quilting, nothing too complicated was necessary, so I went with organic straight-line with Aurifil 50wt #2024 (white). This is really a method of quilting that I enjoy. No matter what size of quilt, I mark it in half using my hera marker, then again several inches apart on both sides of center. On this quilt (45"x48"), I marked every 6", then quilted down those lines. From there, no marking! I just quilted down the center between two quilted lines, wobbling along with purpose. Continue and repeat, over and over again. I wanted plenty of texture on this quilt, so my lines of quilting are roughly 3/8" apart. Unfortunately it doesn't show well in any of my photos, but the binding consists of all 3 cross fabrics, and I think it sets them off well. Overall, this was a really enjoyable sew, and I'm glad. Because now it's time to face some deadline sewing . . . oh joy. 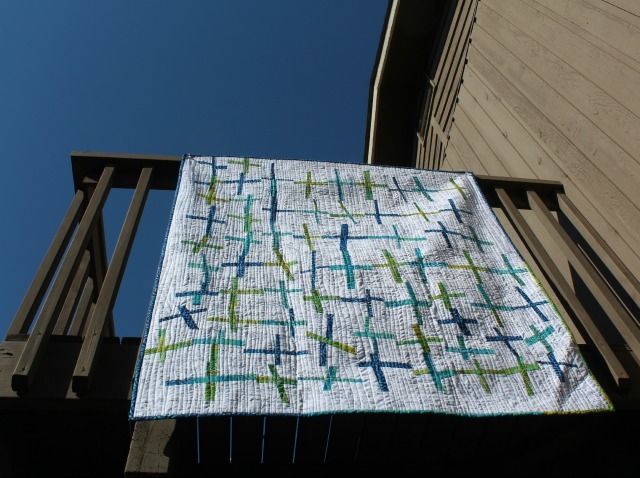 This quilt is beautiful, I love how the blocks come together and the quilting works so well. Debbie this quilt is really pretty. I especially love how the quilting accentuates the crosses. The colors are my favorite. Beautiful quilt! I know I asked you about the background fabric and you kindly answered so quickly. So my next question: When you find a great fabric--potentially for background or backing, how much do you usually buy? Great quilt. I just bought a Hera marker and now I have another use for it. I appreciate when people tell about the tools they use such as the Hera marker. Those of us who have not used the tools or for that purpose can certainly learn much from you. I love the improve and hope I can screw up my courage to try more. 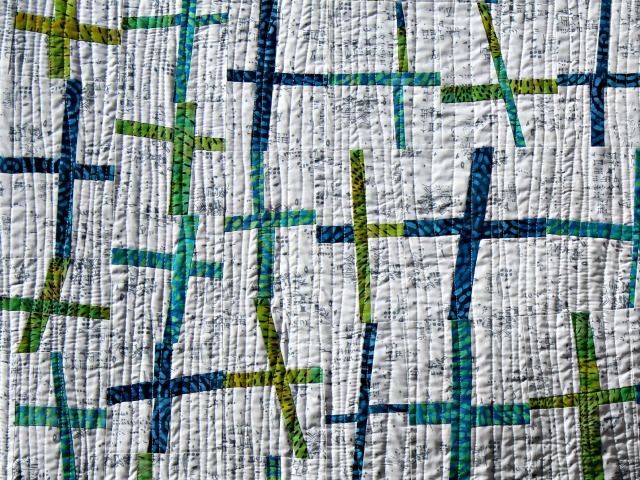 The wonky crosses look great, organic straight line quilting is one of my favourites, it gives quilts such a fabulous texture. 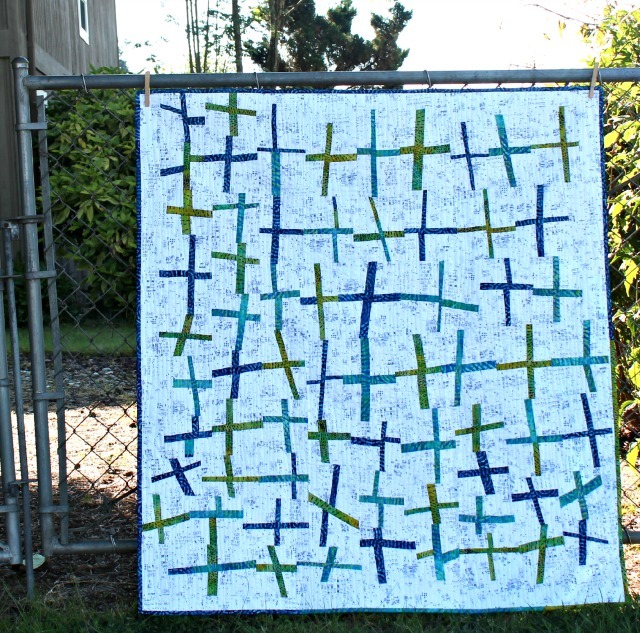 That limey green batik really makes the whole quilt pop. Well done! Love how you mixed the batiks with the LV. I love the back of this quilt. It looks like quilting texture. Love the quilt and the color combo. Head over heals in love with the back. Wow. 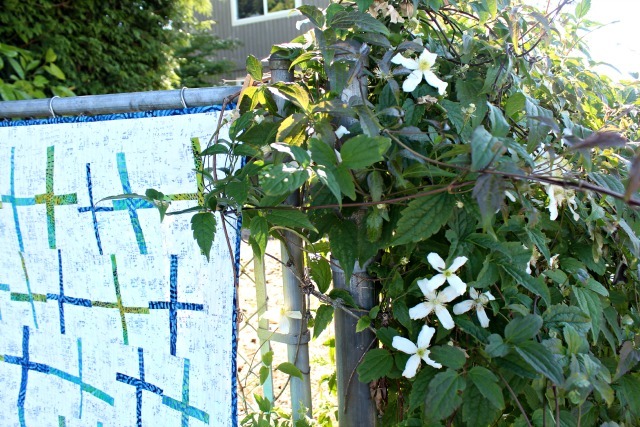 I'm so glad a "reputable modern quilter" isn't afraid to use batiks! 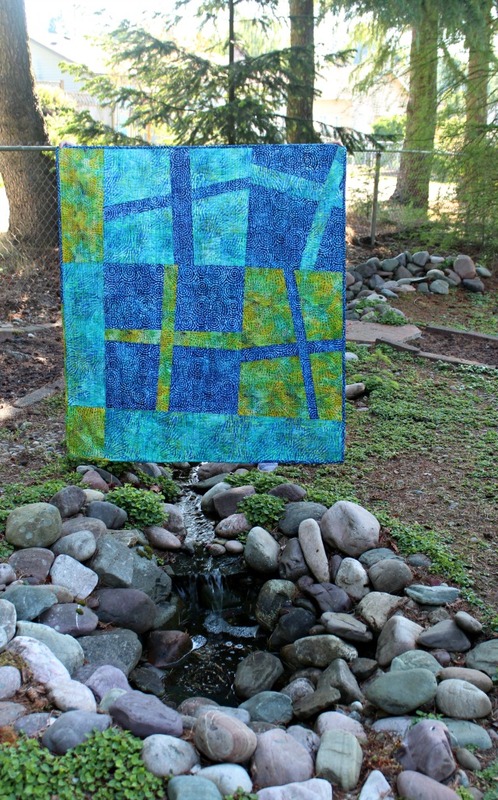 It frustrates me to to end when my modern quilt group ho-hums about batiks. I for one love them, and think I'll be putting batiks in every modern quilt I make, just to show them! Hehee! Anyway, I really like your quilt too! This is really nice. I just finished a wonky cross top for charity for our guild but we used a wider cross. I'd like to mix it up more next time with thick and thin crosses.